(Natural News) Have you ever felt the need to escape the confines and restrictions of society? If you have, then homesteading might be for you. Not everyone is built to withstand the aggression of city life, and not everyone wants to spend so much for food you can actually grow at home. Homesteading is a lifestyle, not just the act of building a self-sustainable home. Before you jump on the bandwagon, make sure you’re willing to commit your time and efforts towards this endeavor. Since the basic idea of homesteading is being “off the grid”, there is little to no automation, unless you have a hand in it. So, check this off your list first before continuing on to the next part. 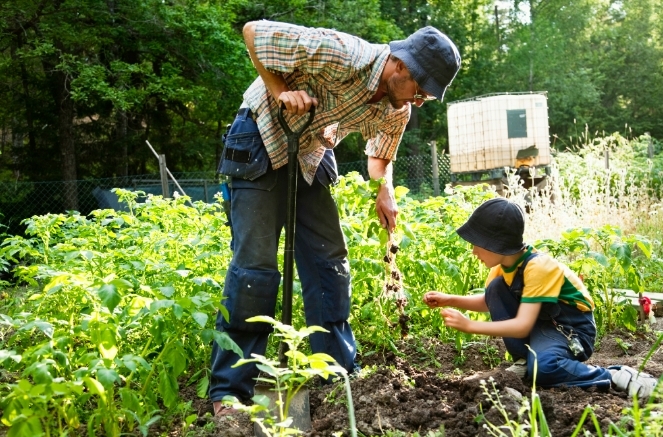 Before actually building your homestead from the ground up, you’ll need to finalize a few legal aspects, since you’re still living in a country with laws and regulations. Once you buy the lot or location you’ll be building your homestead in, make sure other legal matters are settled. Things to double-check are your lot’s legal boundaries, the rights to minerals and water, and every other little detail as much as possible. This will enable you to have a lawsuit-free future, in case society-based things go haywire around you. Efficiency is also key when building a homestead. When building your homestead, you don’t want to break the bank and be penniless, especially during your first few observation months. If a certain material is way more expensive than projected, find an alternative. You’ll be surprised to find that there are many options and alternative resources, especially when your primary choice would leave you empty-pocketed. Say for example, the type of wood you want to use for flooring. Buying wood flooring from a local hardware store (near your homestead, of course) instead of buying it from a supermarket / hardware chain store can be up to 70 percent cheaper. Buying your materials from family-run stores would help the local community, and help you manage your money better. Last but not the least, know thy neighbor. As big as the country is, you might be surprised to find a neighboring family living on the outskirts of your lot. Say hi, and get to know them. That way, you’ll be able to discuss property limits and other matters like trespassing without being too awkward or too formal towards each other. You can even help each other with tasks like plowing or building vine trellises or tree houses. While most homesteaders are private people, some are as helpful as providing you with your first homesteading week’s supply of homegrown vegetables! If you wish to learn more about homesteading, gardening, and self-sufficient living, visit Homesteading.news.